Flowers Aluminum Construction, Inc., wants to install 6” seamless aluminum rain gutters to your home, to prevent erosion problems caused by water run off. 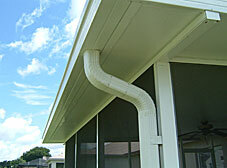 We install 3”x4” large residential downspouts to help direct the flow of water away from your home. 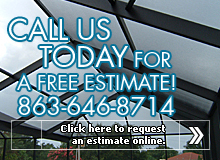 No more water intrusion, landscape damage, foundation problems or discolored fascia. We have a top-of-the-line leaf guard protection system to help elevate clogged and slow-draining gutters. After all, no one likes to clean out gutters, and our gutter guard systems help to keep your gutters flowing smoothly year round. Our company can also install underground drain systems, designed to help optimize water flow and drainage without ruining the look of your property. Call the professionals at Flowers Aluminum Construction, Inc., today for more information about our seamless gutters and drainage systems! Copyright © 2007 Intelligent Media Ventures, LLC All Rights Reserved.